A new advisory published by the American Heart Association (AHA) reaffirms the health benefits of regularly eating fish, especially types that have high amounts of omega-3 fatty acids. Researchers say that consumers who include fish in their diet can improve their cardiovascular health and reduce the risk of heart failure, coronary heart disease, cardiac arrest, and ischemic stroke. "Since the last advisory on eating fish was issued by the Association in 2002, scientific studies have further established the beneficial effects of eating seafood rich in Omega-3 fatty acids, especially when it replaces less healthy foods such as meats that are high in artery-clogging saturated fat," said Eric B. Rimm, chair of the AHA’s writing group and a professor at Harvard’s T.H. Chan School of Public Health. The AHA recommends that consumers eat at least two 3.5-ounce servings of non-dried fish every week, with an emphasis on oily, omega-3 rich fish like salmon, mackerel, herring, lake trout, sardines, or albacore tuna. Although eating plenty of fish can be part of a healthy diet, the researchers caution that eating too much can also be problematic. Certain varieties of fish are known to contain traces of mercury, which can lead to neurological problems if consumed in excess. 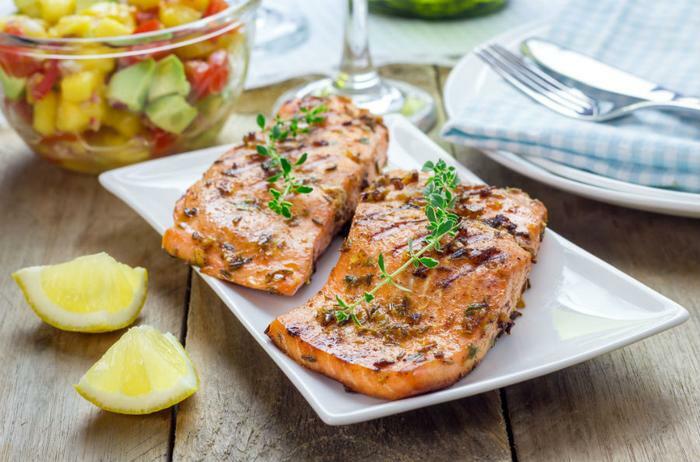 But while these potential dangers may cause some consumers to hesitate, the AHA says that the potential benefits of consuming fish far outweigh the risks. The AHA’s full study has been published in the journal Circulation.